LED-Backlight-Technology, with optimized color saturation enabling particular high and shining display. The scale of displayable color nuances is increased by 45% because of the new technology. Conventional LCDs are based on CCFL backlight, which can display approx. 72% of the standard color scale of NTSC (National Television Systems Committee). 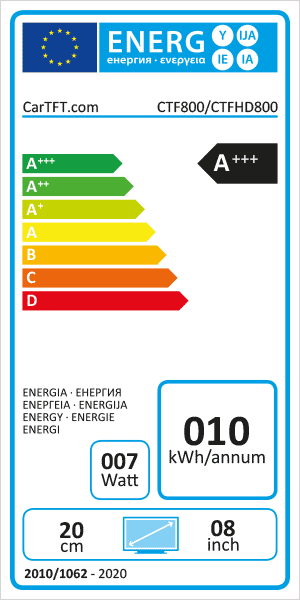 With LED-Backlight-Technology 104% of the NTSC-color scale can be displayed. This results in displaying in a highly realistic manner. With maximum depth of 29mm the new slim CTFHD800-L will convince you. 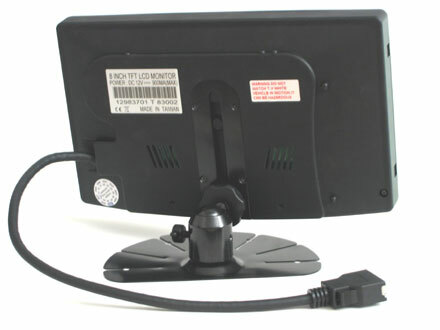 Its the ideal display- and control unit for your Laptop, CarPC or HTPC. 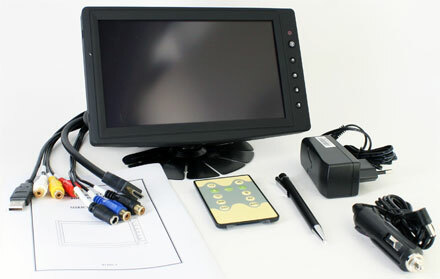 With help of the touchscreen functionality, the PC can be controlled comfortable with your fingers. 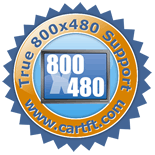 The briliant HDMI-display enables a maximum readability and sharpness. The device has integrated Stereo-speakers and an automatically switched rear camera input. 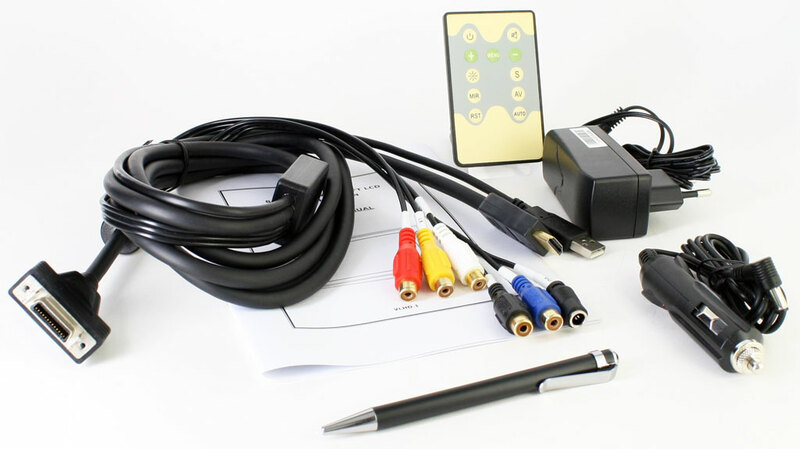 An AC-Home adapter and a cigarette lighter adapter is included with the package, as well as an IR-remote control unit and the extralong (2,5 meters) All-In-One connector cable. 3M Vikuiti™ Display protection-foil ARMR200 8"